Ecstasy was initially popular as a “club drug” at all-night dance parties, though it now affects a broader range of people. If you think you have a problem with ecstasy abuse or addiction, you’re not alone. 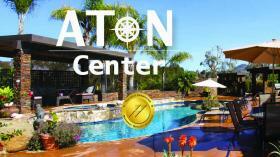 For more information about ecstasy rehab centers, call 1-888-341-7785 Who Answers? to hear more about addiction resources in your area. They spend a good deal of their time obtaining, using, and recovering from the drug. They continue to use the drug despite social consequences from its use. They use the drug under dangerous circumstances, such as when driving. Detox is just the first step of ecstasy addiction treatment. Rehab centers may use a variety of behavioral treatments and other therapeutic methods to address your addiction to MDMA and any underlying psychological issues that may have contributed to the addiction. When you enter ecstasy rehab, the treatment team will work with you to develop an individualized recovery plan that best suits your needs. A successful treatment program will address the unique circumstances that led to your addiction, any medical or mental health issues you may have, possible triggers that may cause you to relapse, and your barriers to recovery. At inpatient ecstasy rehab, you can remember how to interact with others—and even have fun—while sober. 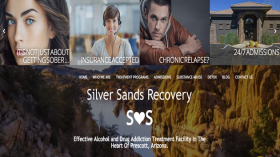 At inpatient ecstasy rehab centers, patients live at the facility while receiving addiction treatment, offering the most intensive level of care and supervision. Outpatient ecstasy rehabs allow the patient to continue living at home while attending addiction treatment sessions at the facility. Outpatient programs vary in intensity—some require daily attendance at treatment sessions, while others offer sessions 2-3 times per week. Good candidates for outpatient therapy will have a strong, sober support network at home. If substance abuse is a major part of your social life, trying to avoid ecstasy and find the support you need may be difficult. Inpatient MDMA addiction treatment programs remove you from negative social influences and provide a new support network of people with similar experiences and struggles with addiction. At inpatient ecstasy rehab, you can remember how to interact with others—and even have fun—while sober. Other common treatment methods for MDMA addiction include group counseling, individual therapy, and 12-step programs. Every patient is unique, so your addiction treatment program will depend on your personal circumstances, the length of time you’ve abused ecstasy, your physical and mental health, and your personal preferences and needs. Though many inpatient rehab centers have a fairly standard residential treatment model, you may want to consider the variety of specialized options. Luxury rehabs: These treatment centers offer high-end amenities in addition to drug abuse therapy. Luxury rehab centers may offer upscale lodging, exotic locations, swimming pools, spas, massage therapy, yoga, acupuncture, and other alternative treatments. Executive rehabs: These rehab facilities cater to CEOs and other high-level business professionals who need to keep up with the demands of the office while they receive addiction treatment. Depending on your needs, executive rehabs may offer access to office space with computers and phones, a flexible schedule to travel and visit clients, or other assistance meeting business needs. Facilities that meet other personal preferences: Would you be more comfortable receiving addiction treatment in an all-male or all-female environment? Is your identity as LGBTQ an important factor in your drug addiction recovery? Do you prefer to travel to a remote location or stay close to home? Numerous options are available, so you can choose the rehab that will give you the best chance for lasting success. Having a place to turn to when triggers arise is critical to preventing relapse, which is why aftercare treatment is an important component of maintaining long-term sobriety. Before leaving inpatient ecstasy rehab, you will work with counselors and medical staff to set up an individualized aftercare treatment plan. This could include family therapy, group therapy, or individual therapy sessions with a counselor. Peer-to-peer support groups, 12-step programs such as Narcotics Anonymous (NA), and ongoing individual therapy are common components of successful aftercare programs. Returning to regular life after spending time in an inpatient rehab center can be difficult. Even after leaving rehab, you may find that the same triggers and temptations to use ecstasy are still there. These might include stress at work or school, the weekend social scene, or friends who still use MDMA. Having a place to turn to when triggers arise is critical to preventing relapse, which is why aftercare treatment is an important component of maintaining long-term sobriety. National Institute on Drug Abuse. (2012).Contingency Management Interventions/Motivational Incentives (Alcohol, Stimulants, Opioids, Marijuana, Nicotine). What are the slang, street names or nicknames for Ecstasy? The Partnership for a Drug-free America lists “Adam,” “E,” “roll,” “X” and “XTC” as the nicknames for the drug. One of the definitions for addiction is continued use despite negative consequences. If your physical health and state of mind are declining because of repeated Ecstasy use, then you might be addicted. What are the long-term effects of Ecstasy abuse? Prolonged use of Ecstasy may lead to permanent damage to certain parts of the brain. There is also research suggesting that Ecstasy causes problem with memory.